We’re a mountain bike skills coaching and guiding company based in Bellingham, WA. We serve all of the beautiful Pacific Northwest. We help beginner, intermediate, expert, and professional riders boost their skills, build confidence, and progress their riding - which translates to more fun on the trails! March Northwest is led by founder and coach Shaums March. Shaums is currently the lead Instructor trainer and curriculum developer for the Bike Instructor Certification Program - BICP. Shaums has more than 20 years experience coaching, running youth programs, adult clinics, professional team building programs and one on one training. Shaums has been instrumental since 1995 in developing structured and professional guidelines for training mountain bike skills. His efforts and training are behind many of the professional instructors and programs that exist today in North America. 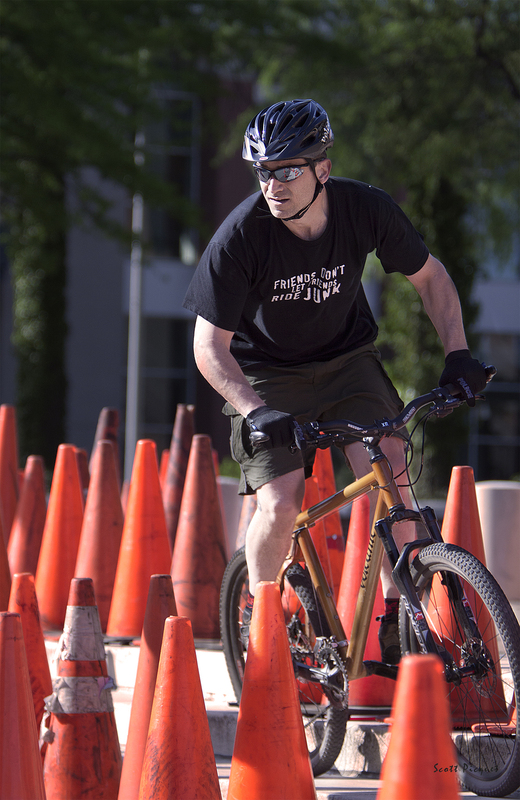 His reach has extended to IMBA, Evergreen Mountain Bike Alliance, Fluid Ride, LeeLikesBikes.com, IPMBA International (Law Enforcement training), USA Cycling National Team, 2016 Olympic Team, and many others. Originally working with materials developed by CMIC, Joan Jones and Daamiann Skelton, Shaums purchased the program from the Canadian group, and built upon the structured base materials. 5-years later, Shaums partnered with IMBA and embarked on a joint mission to progress the educational curriculum to International standards. 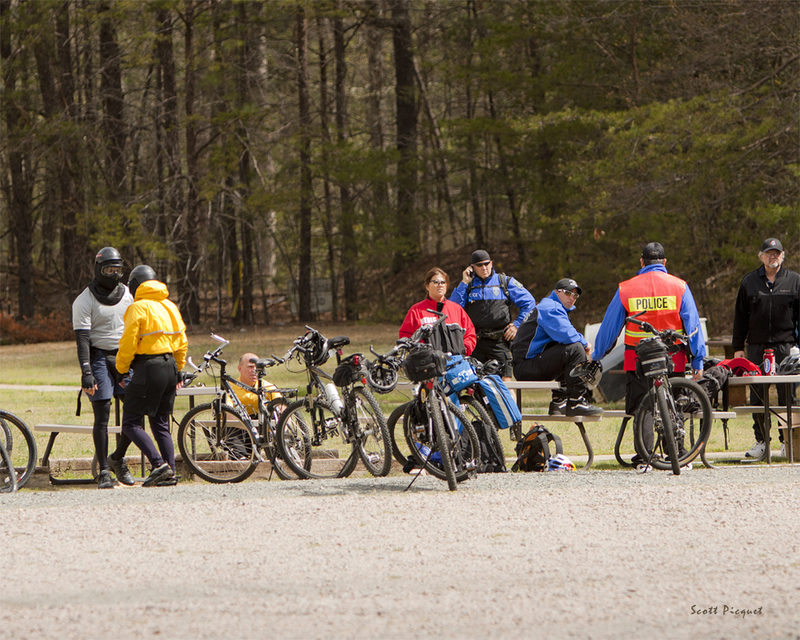 Shaums continues to work with the Bike Instructor Certification Program (formally IMBA-ICP) to advance the program as the sport grows and develops. Shaums is proud of the influence his work has had on developing opportunities for coaches, small businesses, and riders in the area of professional mountain bike skill development. Our professional team of instructors have a combined four decades of teaching and coaching experience. MNW coaches focus on developing riding skills through a structured progression, with safety and fun being top priorities. Our youth and adult skills clinics feature small rider to coach ratios (6 to 1 maximum), which allows us to better serve our riders with both individual and group skill development. Mountain biking is a great activity for all ages, skill levels and fitness. We work hard to improve participation, access, awareness and performance in the sport. We offer high quality instruction, through a variety of Mountain Bike clinics and guided rides to suit your needs. Group lessons, skill clinics, private coaching, and custom bookings are available for youth and adult riders of all abilities. Shaums is passionate about mountain biking and helping people build confidence and have more fun on their bikes. Shaums is a two time Downhill masters World Champion, former Red Bull athlete, and technical skills coach for the USA Cycling National and Olympic team. Shaums has coached multiple riders to National Championships, and 5 of his riders have won World Championship titles. Learn more about Team USA and March Northwest. Shaums enjoys spending as much time as possible with his two kids in the great outdoors. Come join us and discover how much joy comes from riding your bike. We love what we do, and we know you will too. View our Clinics page to see our course offerings. 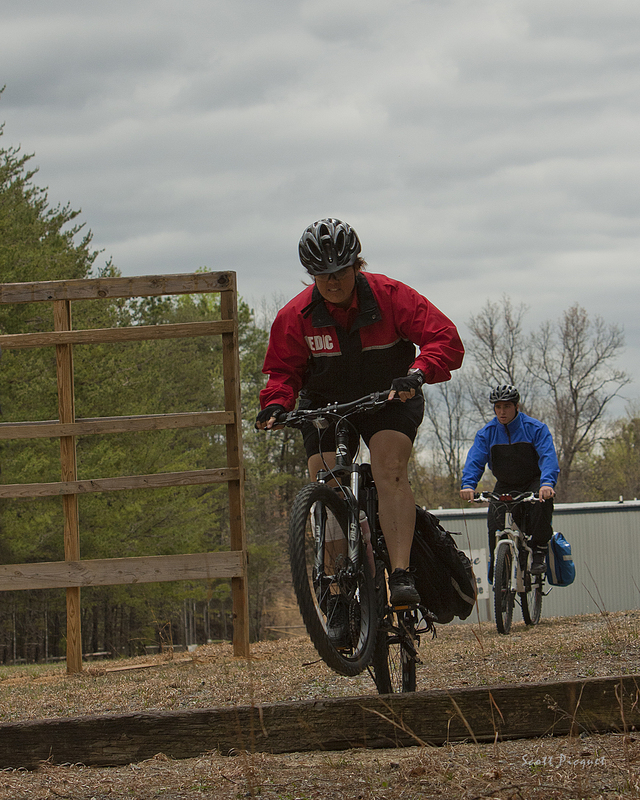 March Northwest trains and is endorsed by the International Police Mountain Bike Association. IPMBA is a non-profit association dedicated to promoting the use of bikes for public safety, providing resources and networking opportunities, and offering the best, most complete training for public safety cyclists. 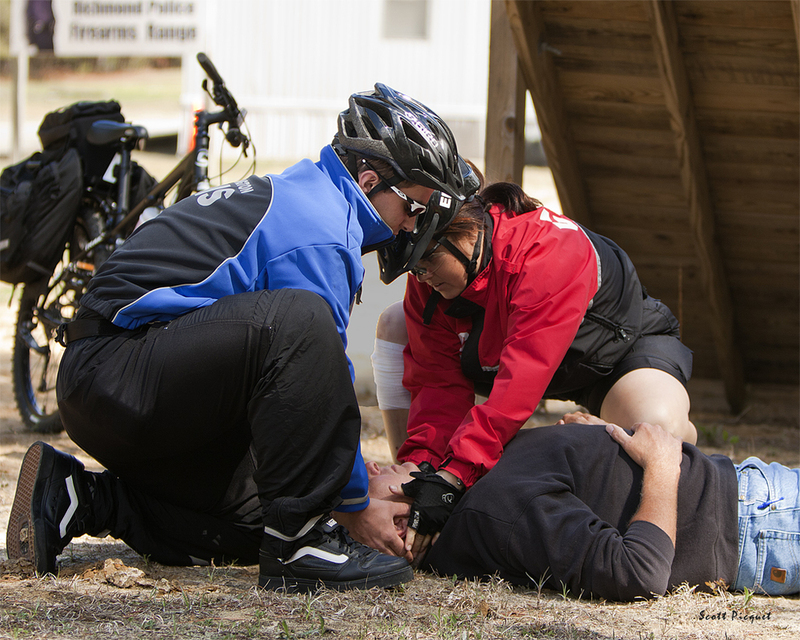 We have trained multiple law enforcement and public safety departments throughout the United States, including the influential and industry leading Seattle Police Department bicycle patrol unit. 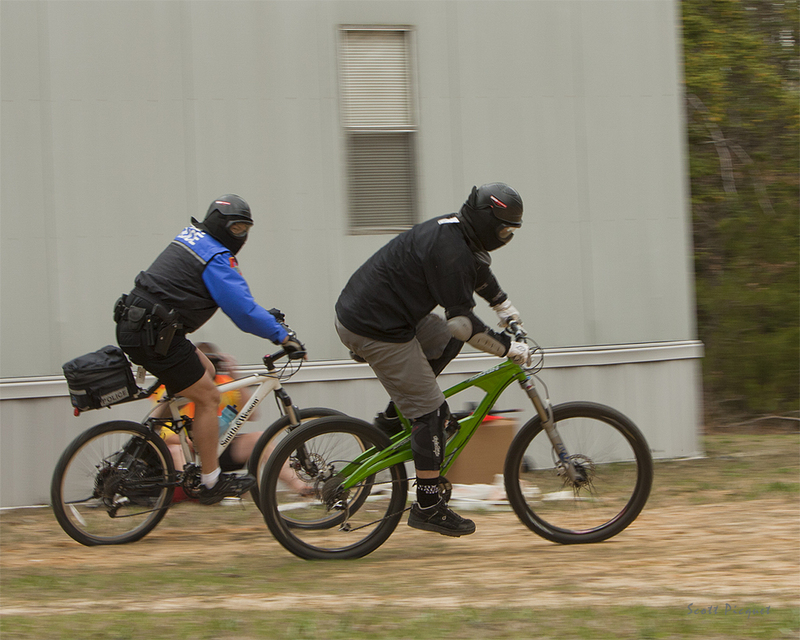 MNW provides the highest available level of bicycle training in order to keep officers well-trained and safe in the field. MNW assists Police Departments in developing education curriculum, manuals, and training protocols. 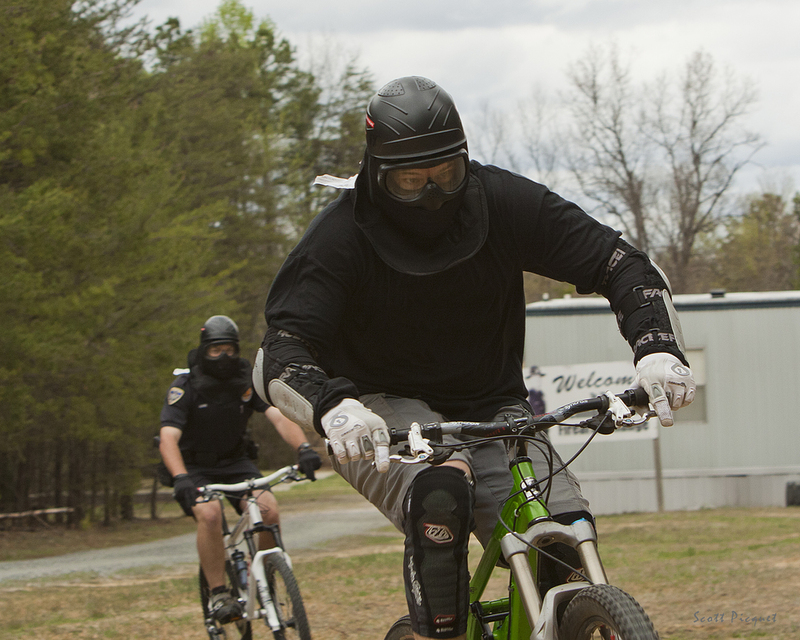 We train the highest level instructors in advanced officer bicycle patrol training. Recently we worked with the SPD bicycle patrol unit's riot division to develop specialized techniques and curriculum to match the response team's needs. 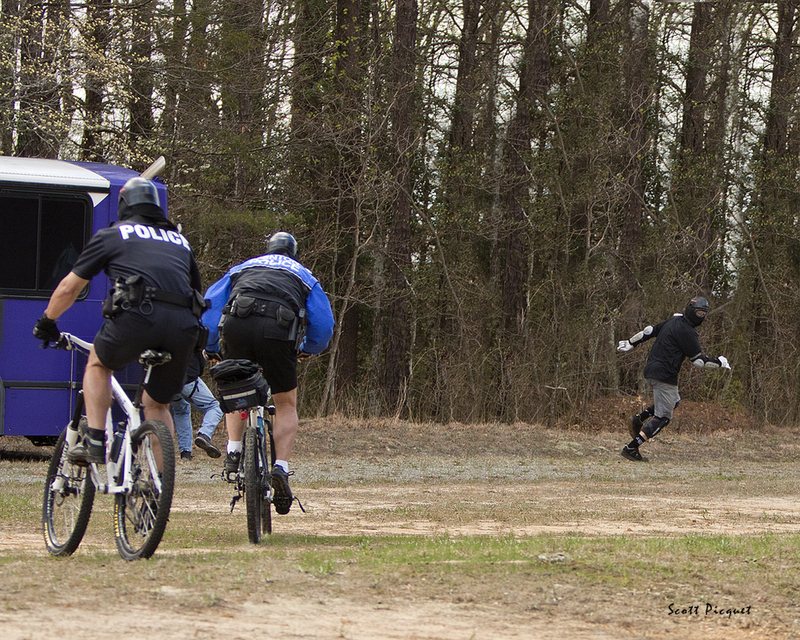 We’ve even done simunition training (non-lethal ammunition training) on bike using paintball weaponry to simulate real life scenarios. Pretty cool stuff! March Northwest was instrumental in convincing the Seattle Police Department to change a 15-year mandate to allow flat pedals to be used while on bicycle patrol duty (officers used to be required to ride clip-in pedals). 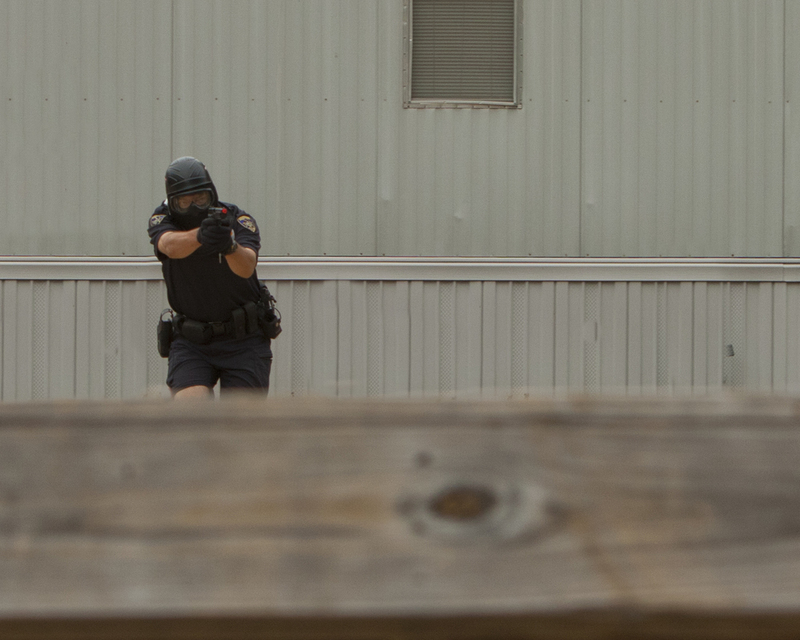 With this change, officers gained quickness and agility when responding during pursuits. 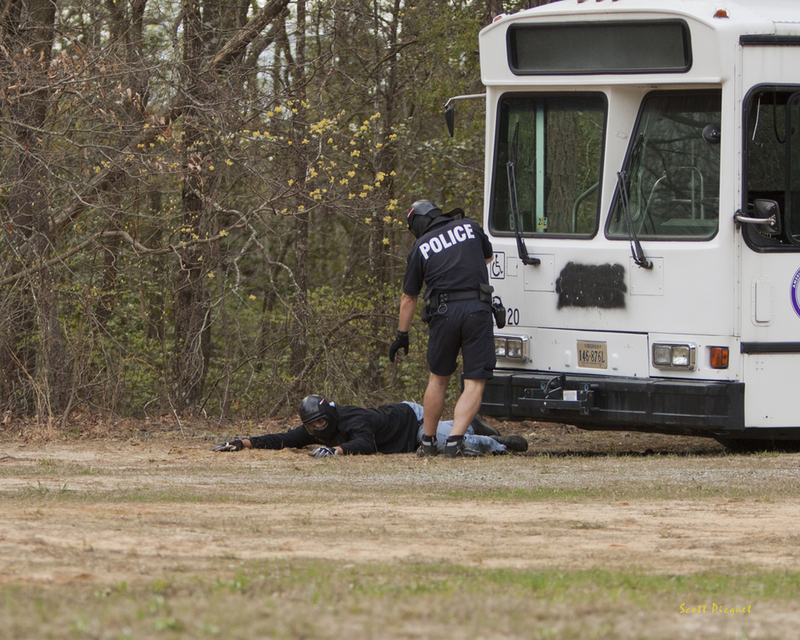 We've participated for 4+ years at the International IPMBA Conference, and continue to research cutting edge methods for training officers to stay one step ahead of the bad guys. March Northwest thanks Arizona Police Force member Sergeant Scott Piquet for the action shots! Sergeant Picquet has supervised the Chandler Police Department Patrol Bicycle Team since 2006. He is also Chandler’s Special Assignment Unit Sniper Team sergeant. A lifelong cycling enthusiast, Scott’s biking experience ranges from interstate touring to his recent completion of the Ironman Arizona 2012. When not out riding, swimming, or running, he can often be found behind his camera, a talent he shared with IPMBA by photographing the 2011 and 2012 IPMBA Conferences. He can be reached at scott.picquet@chandleraz.gov.